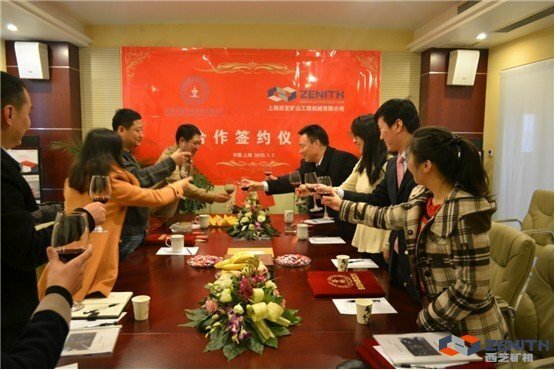 On 7 January, 2013, chairman of the board of Tianjin BinHai Harbor Port Group and his colleagues came to visit Shanghai ZENITH for the second time. Regarding the development of overseas mining industry, both sides extensively expressed their views. 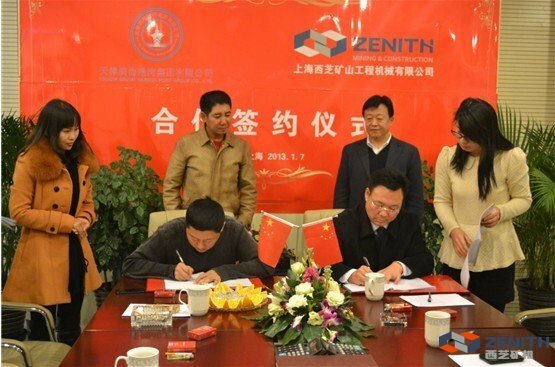 After that, Tianjin BinHai Harbor Port Group signed the contract to purchase a whole production line of mobile crushing machines from ZENITH. Tianjin BinHai Harbor Port Group Co., Ltd., the sino-foreign joint venture, relying on its solid financial strength, rich experience in operation and convenient port conditions, has gradually developed into one of the most influential manufacturing enterprises in China. Besides conducting investment on mineral resources, it also covers business such as production and processing, domestic and international trade, freight forwarding, warehousing, transportation, property management, etc. The project that was signed by both parts, totally focused on further development of overseas mining industry. For BinHai New District, this is surely a breakthrough in the New Year, not only because it is the first time to attempt exploitation on overseas resources, but also for its trial on international logistics, international trade, international shipping, etc. 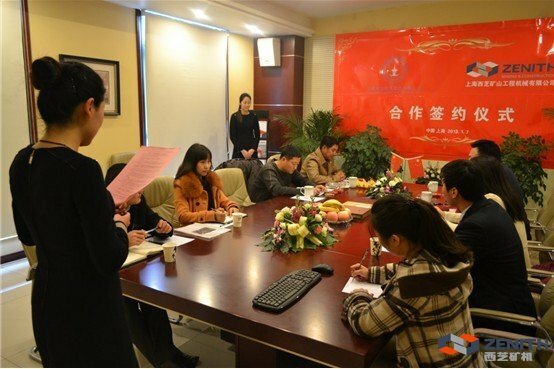 We believe that the cooperation established by both sides will greatly promote the domestic development on steel industry, port industry, logistics industry, machinery industry, etc. Both sides also hold the common point that this cooperation will make a positive contribution to the stability of national economy and at the same time, will guarantee security when importing iron ore from other countries. During the discussion, Chairman of Tianjin BinHai Harbor Port Group recalled his dramatic experience when he knew ZENITH for the first time. 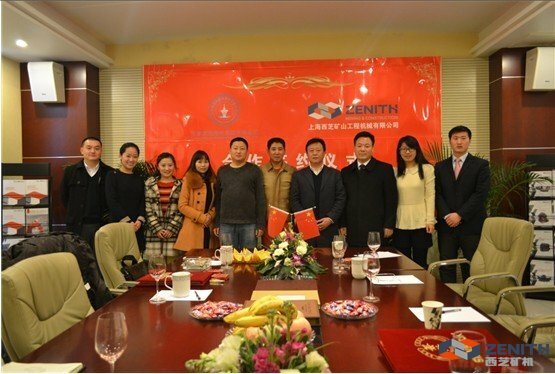 “It was my first time to come to Shanghai for inspection, when a friend of mine talked about ZENITH who always ranked No.1 from 2009 to 2011 regarding the export amount in mining machinery industry. As you know that Tianjin BinHai Harbor always preferred to cooperate with some overseas leading companies, and when we came to ZENITH for the first time, we did very shock, and we also feel proud, for such a huge scale that a Chinese company could owned. By contrast with other companies, we finally decided to choose ZENITH, although ZENITH provided a price that more than other companies. The reason why we choose ZENITH is that we value the comprehensive strength of ZENITH, and also value its concept, its culture, and its talent strategy. All of these are what we always pursue. We sincerely hope to cooperate with such an enterprise to carry on the long-term cooperation."